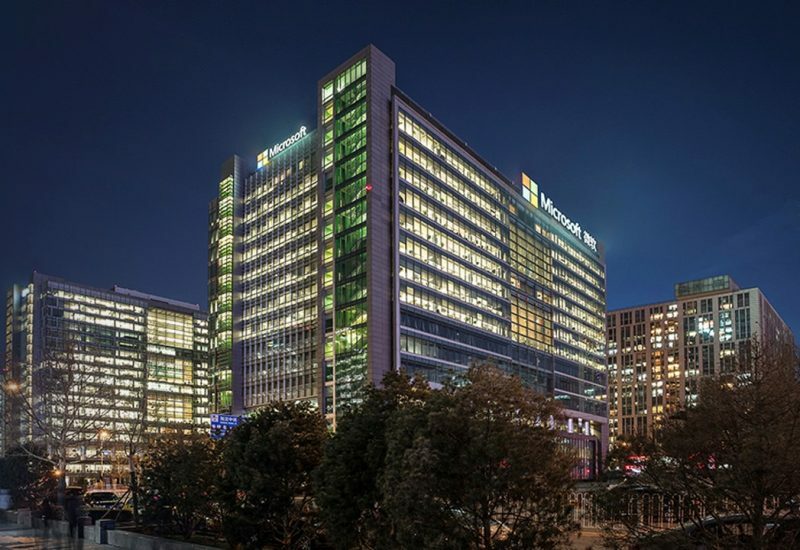 Microsoft Research Asia (MSRA) is Microsoft’s fundamental research facility in the Asia Pacific region. By attracting the best talent from Asia and across the globe, it has grown into a world-class research laboratory with more than 220 researchers and developers. The lab conducts basic research and collaborates with the world’s top researchers to develop technologies that help solve global challenges. Today, we are pleased to announce MSRA Collaborative Research 2019 Call For Proposals. 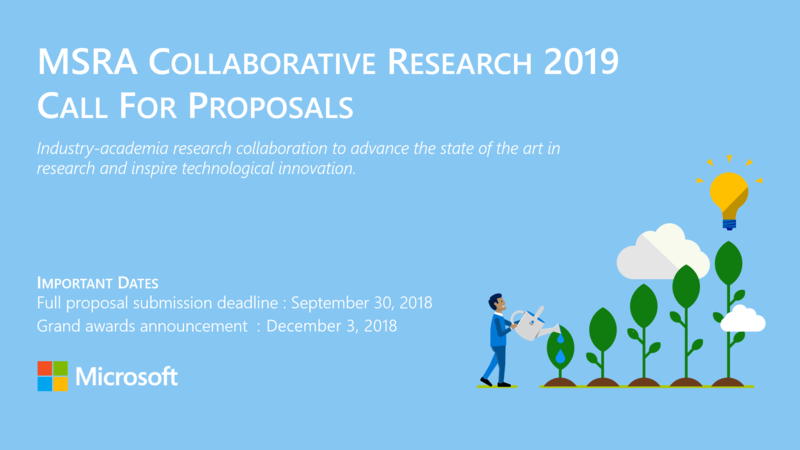 The goal is to invite faculty members or researchers in Asia to propose any Open Collaborative Research topics related to current Microsoft research areas to advance the state of the art in research and inspire technological innovation. MSRA aspires to foster talents and establish Microsoft as a valuable research and technology partner for higher education in Asia. Perception, Recognition, and Interaction: enable users to interact with a computer using speech, graphics and vision; allowing people to search for and to be immersed in interactive online shopping, education, meeting and entertainment activities through multimedia. Human and Machine Intelligence: explore new infrastructures, algorithms, tools and applications to empower people and organizations with data-driven insights for better quality and efficiency in life and at work. Research areas include machine learning, data mining, knowledge computing, natural language processing, information visualization, human-computer interaction, software analytics, and programming language. Systems and networking: include areas such as distributed systems, networking, cloud and edge/mobile computing, database and memory systems, AI infrastructure and tools, extreme computing and heterogeneous hardware systems, system security and blockchain. If you are interested in collaborating with any of our researchers in these areas, you are welcome to submit proposals. It is important that you specify the individual researcher(s) with whom you propose to collaborate. Microsoft Research Asia anticipates making grant awards to fund a number of proposals based on the results of a review process. All awards will be given to the sponsoring academic institution to support the proposed project. Personal or business accounts for award payments will not be accepted under any circumstances. Awards under this program are by default for one year; exceptional two-year proposals may be considered. Grants should be used solely to support the project in the area described in your proposal. By accepting the award, you agree to submit Microsoft Research Asia a project summary report before end of 2019, and present your results at Microsoft Research events. You may use the grant to cover the travel costs to the event. Conditions of eligibility listed below will be strictly adhered to. Proposals not meeting all specified criteria will not be considered. An accredited degree-granting college or university (or international equivalent) with non-profit status and awarding degrees at the baccalaureate level or above. A research institution with non-profit status. Proposals shall provide evidence of a commitment to dedicate all results derived from the funded project to the public domain, and accordingly the institution shall waive proprietary right to such results. If the institution wishes to assert any intellectual property rights over such results, it must provide Microsoft with a prior written notice and a free license. You may submit your proposal in a Word document or PDF format. Please provide all required information and as much detail as possible, as this will help MSRA in assessing your proposal and making selections. You are required to submit your proposal using our online submission website before the submission deadline. You may choose a specific group from the list above and identify the collaborating researcher(s), as well as how the collaboration will be facilitated (for example, in the form of meetings, workshops, short stay at Microsoft Research lab, or through students as interns). Please note you can only submit one proposal. Appendix I is a tabular form of proposal template for your reference only. Please do not send in proposals via emails. All proposals in compliance with the eligibility criteria and received by the deadline will be reviewed by Microsoft Research Asia based on state of the art and common research interests. Microsoft Research Asia reserves the right to fund winning proposals at an amount greater or less than to the amount requested, or up to the stated maximum amount for individual awards. An offer will be canceled if it has not been accepted in 3 months. Due to the volume of submissions and for legal reasons, Microsoft Research Asia cannot provide individual feedback on proposals that are not funded. The grant of your project will be acknowledged in all publications, press releases and other publicity connected with the awarded project, as “This project is funded (partially funded) by Microsoft Research Asia” or “This project is funded (partially funded) by the MOE–Microsoft Key Laboratory of <…>, ”. If you have questions, please send us an email at msrarfp@microsoft.com.